That’s right, it just happened. 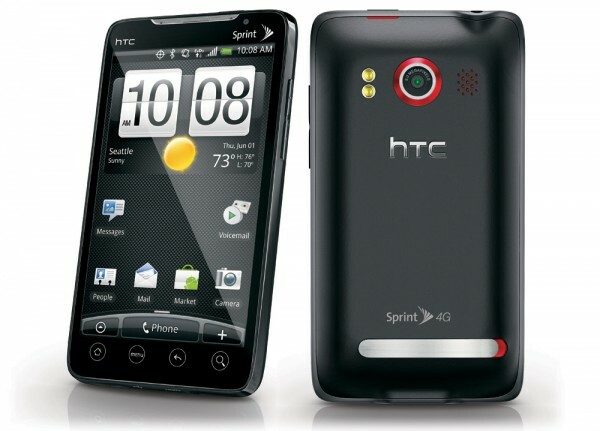 Sprint and HTC just changed the smartphone arena with the introduction of the first 4G handset on the market: the HTC Evo 4G. It’s not just any handset, but rather the most powerful smartphone on the market. I was invited over to Sprint’s exclusive event during the CTIA Wireless show in Las Vegas and had the opportunity to test the phone. I honestly had fallen for the device after a quick skim through the specifications, but after a first glance at the device, I knew that this would be an important play for Sprint and that I actually wanted one. Before I dive in, skim through these specifications and let it sink in. 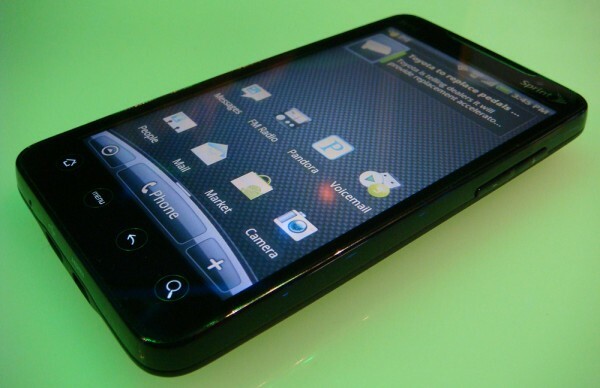 This phone out ranks the Apple iPhone 3GS, Motorola Droid, Google Nexus One, and the HTC HD2 in just about every aspect. This phone can do just about everything anyone would possibly ever want their phone to do. And that’s a first for Sprint to secure a game-changing exclusive. Although they did have an exclusive on the Palm Pre, it simply wasn’t that cutting edge. And with their emergence into the 4G market powered by Clearwire’s WiMax, they’ve got a good head start over both Verizon Wirless and AT&T who are still working in LTE. If Sprint keeps going at this rate with Dan Hesse at the wheel, they might be able to turn around their losses and make a strong comeback. I had a chance to test out the device thanks to Sprint’s kind PR team. The device was everything I expected. The screen was larger than I expected and looked gorgeous. The large 4.3-inch display truly shows it’s colors and seems that it would be bright enough to use under direct sunlight. The phone didn’t have a cheap plastic feel, but rather was robust much like the Motorola Droid. While the unit was a bit larger than the Apple iPhone 3GS, it still felt comfortable to handle and is still small enough to pocket. I also realized that with a 8 megapixel camera and 720p video recording, I likely wouldn’t need to carry a point-and-shoot or a Flip-type portable camcorder on me. HTC was strongly emphasizing sharing content. Therefore, it has the Qik live streaming app pre-installed. Plus, with a HDMI output, you can easily playback content on a HDTV. Another thing that truly caught my attention was the front-facing camera. There aren’t too many well known phones in the U.S. market that sport one. Plus, even the famous Nokia N900 can’t use Skype for video chat. I managed to track down a product manger at Sprint that I drilled about whether they would allow video calls. His answer surprised me. It turns out that Sprint is completely open to allowing video chatting applications on their network, but there was one small hurdle: Android 2.1. The increasingly popular operating system apparently doesn’t have support for a secondary front-facing camera. According to the Sprint rep, HTC actually built support for that second camera into their “Sense UI” and are offering access for developers to tap into it with a SDK. That could truly shake up the market and cause some good competition to finally push video calls into the U.S. market. There were two things I couldn’t get out of Sprint: availability and pricing. At this point, all we know is an expected “summer launch.” I asked Sprint PR team to throw me a ball park estimate on the cost and I was told that it would be a competitive price. We’ll be on the wait-list to get one of these units as early as possible. Stay tuned with us for more updates. it’s on Sprint. On any other network I’d salivate for this phone. My contract with Verizon is up in January, so I’ll go month to month and let others test out this phone and the network, before I jump. Im with ATT and will switch with Sprint, mainly because I live where there is good sprint reception plus we have 4g all around san antonio. remember sprint has offered the 30 money back guarantee. Not just part of it , ALL OF IT. You get back the price for the phone, the plan, activation fee, everything, except of course if you bought a third party app or something. You should check into it and give it a try. The Sprint network isn’t bad, I never have dropped calls & they have the best data plan. 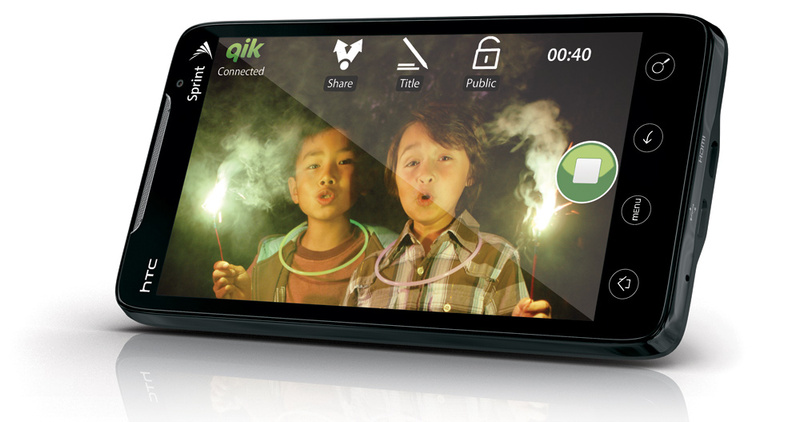 4G is supposed to be expanded to my area this year, I want this phone. That being said, I plan on waiting to see how the 4g network rates nationally before I sign on. Sahas, they have 4G in Vegas and Seattle that is available commercially? I think it will take a while to get the full view of 4G until it’s available nationally. Until then, it’s not being stressed (like At&t) in the manor it will be. My biggest fear is that I leave Verizon on a month to month, only to go to a network that is unusable in the way I need it to be. Yup, it’s already been available for sometime. They have both the Sprint Overdrive 4G mobile hotspot and U301 USB modem available in 27 markets. It’s expanding to “Boston, Denver, Kansas City, Houston, Minneapolis, New York, San Francisco and Washington, D.C.” this year. Also, the technology behind WiMax which powers Sprint’s 4G is quite different. The design behind it won’t cause congestion nearly as easily. I’ve spoken to the folks at Clearwire and they’ve mentioned the same. Chances are that if you live in one of those 4G areas, you won’t face AT&T-like issues. Plus, all their devices are 3G backwards compatible, so if you happen to work in a 4G area, but live in a 3G area, no problem! On that note, let me say, Verizon’s network has always been strong for me and that AT&T’s has been disastrous. I didn’t know the meaning of a dropped call until I switched from Verizon->AT&T. Sahas, that’s good to know. I live in Madison, Wisconsin so we’ll not see it in our market for a while. After my contract runs out in January I’m going to go month to month and see what happens. From the look of it, the only thing that stops this device from being an “iPhone killer” is more android related than anything else (less available apps and lack of iTunes type integration). I’m kind of disappointed that the screen isn’t OLED, but I’m sure the cost of that kind of screen on this phone would have been cost prohibitive in production. Marti, Your gonna be pleasantly surprise how well Sprint’s Network is when you get this phone or any other Sprint phones. I suggest you to try and if in Thirty days it still doesn’t meet your needs return it. I sincerely doubt thats going to happen tho. Good point on the “satisfaction guaranteed” policy. Verizon also has the same type of thing. (Not sure about AT&T) Just be sure to ask about the terms and conditions in regards to returning before signing up for a service. does any one know if this phone will have voice dialing. 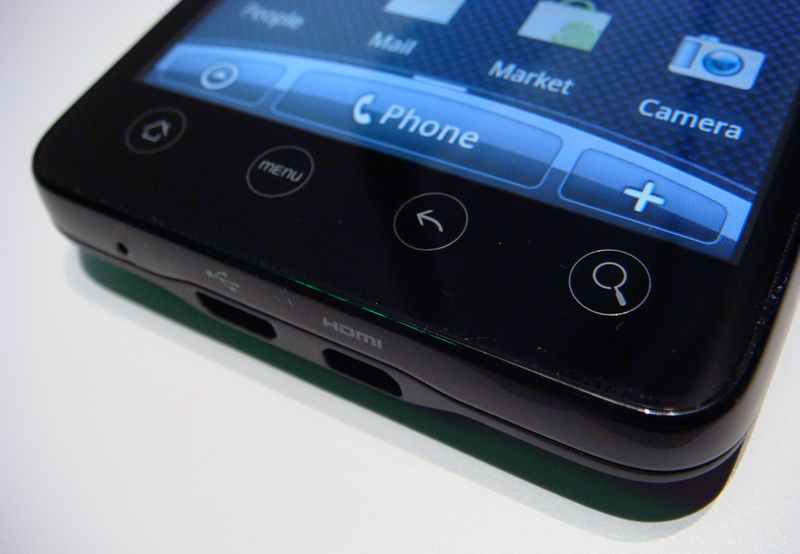 The T-Mobile HD2 does not nor do the phones from Palm? I’m fairly sure that it does have voice dial. Don’t quote me on it though. http://www.Evo4Gforum.net is dedicated to HTC Evo 4G, check it out folks. I’m just curious. I didn’t really understand one part. I have an iPhone with AT&T and my best friend has Sprint. I was goin to recommend her this phone because I wanted to video chat/ face time with her. Only issue is I don’t think I can. Is it possible for an iPhone and this phone to video chat/ face time? First off, you should recommend the HTC EVO 3D instead. 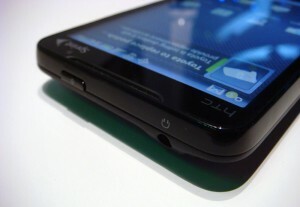 It is essentially the next version of the HTC EVO 4G. And yes, you can video chat from your iPhone to either HTC EVO. You can not use FaceTime though. You need to install another app such as Tango or Qik on both devices. Once you do that, you should be good to go. It works perfectly.